Last month, I posted a review of Soji Shimada's bloody tour-de-force, Senseijutsu satsujinjiken (The Tokyo Zodiac Murders, 1981), which I decided to reread in eager anticipation of the long-awaited release of the English translation of Shimada's second locked room mystery novel, Naname yashiki no hanzai (Murder in the Crooked House, 1982) – courtesy of Pushkin Vertigo. An imprint of Vertigo Press specialized in crime classics from around the world, written between the 1920s and 1970s, by "international masters of the genre." So who better to represent the Japanese shin honkaku movement in their catalog than one of its founders, the "God of Mystery," Soji Shimada! I'm glad I decided to refresh my memory and reread The Tokyo Zodiac Murders, because there's a vast difference between Shimada first and second novel. The Tokyo Zodiac Murders has a plot composed of three separate cases, only linked by the family ties of the victims, which stretches across four decades and covers the entirety of the Japanese islands – capturing the imagination of the public until Kiyoshi Mitarai finally solved it. Murder in the Crooked House, on the other hand, takes place in a single location, Ice Floe Mansion, where a group of people have gathered to celebrate Christmas. So this is more of an intimate yakata-mono (mansion story) than a grisly jigsaw thriller. Ho-Ling Wong described yakata-mono as "distinctly darker" than the Western country house mystery. A pile of brick and mortar that almost takes on a personality all its own. This can be achieved by either "strange architecture" or by "acting as a distinctly evil vibe." Some good (Western) examples are S.S. van Dine's The Greene Murder Case (1928), Ellery Queen's The Tragedy of Y (1932) and Roger Scarlett's Murder Among the Angells (1932), but Shimada's Murder in the Crooked House is a great example of the pure Japanese yakata-mono detective story with its bizarre architecture, a sinister collector's room and no less than three impossible murders! To be honest, Murder in the Crooked House read like someone smashed Scarlett's Murder Among the Angells and the Detective Conan 2000 TV-special The Cursed Mask Laughs Coldly. Needlessly to say, I loved it. On a cliff at the top of Japan's northernmost island, Hokkaido, sits "a peculiar-looking structure" that looks like Elizabethan mansion with its three-storey building and to the east of the house stands a cylindrical tower of glass that's "the spitting image of the Leaning Tower of Pisa" – which can only be entered by "a staircase in the form of a drawbridge." A glass tower with a Western-style building next to, on a snowbound cliff, somewhat gives the impression of "some kind of fairy-tale castle." However, the most eccentric feature of the mansion is that it was erected on a slant and leans to the south. Ice Floe Mansion has perfectly normal windows on the north and south side, but the ones on the east and west sides have been constructed "to run parallel with the ground outside." This makes people feel like "a hard-boiled egg that has been dropped on the floor" and "is trying to roll uphill," which is something the owner of the house had a lot of fun with whenever he was entertaining guests. Kozaburo Hamamoto, President of Hama Diesel, certainly was planning to have some fun when he invited a group of people to stay with him during the Christmas holidays. Hamamoto has invited a business associate, Eikichi Kikuoka, who's the president of Kikuoka Bearings. Kikuoka has brought along his retinue. There's a private-secretary and mistress, Kumi Aikura, a personal chauffeur, Kazuya Ueda, and an executive of Kikuoka Bearings, Michio Kanai – who's accompanied by his wife, Hatsue. There are also three university students, Shun Sasaki, Masaki Togai and Yoshihiko Hamamoto, who are presented with an opportunity to procure his blessing to marry his daughter, Eiko. Only thing they have to do is solve the meaning of the design of the fan-shaped flowerbed around the tower. So there you have relatively normal opening of the classically-styled detective story, but this all changes when they retire to their bedrooms. Kumi is awakened in the middle of the night by a noise and gets the scare of a lifetime when she sees a horrendous, frostbitten face with a scraggly mustache and beard peering through her parted bedroom curtains. But she was sleeping in a room on the top floor. There was "no kind of balcony" or "overhang of any kind" under the window. Just a flat wall. On the following morning, pieces of a doll are found outside the mansion without any footprints around it in the snow. Hamamoto has made a hobby out of "studying and collecting mechanical toys and dolls," especially Western automata, which are kept in the "Tengu Room" where the walls are entirely covered with "masks of that famous long-nosed demon of Japanese folklore" and the doll that was taken from this room is named Golem – a two-hundred year old, life-sized doll from former Czechoslovakia. Folklore has it that, "on a stormy night," this doll comes alive. This unsettling event is rather innocent compares to what they discover next. They're unable to rouse Ueda, who sleeps on a folding bed in a storeroom, which is securely latched from the inside. And when they break down the door, they find him at the foot of the bed with a hunting knife in his chest. The body was twisted in a strange position and the right wrist was tied to the foot of the metal bed frame. Detective Inspector Okuma is struggling to get a grip on the case and fails to prevent the murderer from striking a second time right under his nose. This time the murderer is looks to have been even more impossible than the first one, which was committed in a bedroom with sturdy door of solid oak and equipped with triple-locks. So his superiors decided that this kind of "monstrous crime" requires "the right kind of detective" and they decide to consult Kiyoshi Mitarai, astrologer and fortune teller, whose appearance on the scene would have made Dr. Gideon Fell beam with pride – making Okuma groan with cryptic remarks and saying the doll committed the murders. However, not even Mitarai can prevent the murderer from fatally wounding yet another guest and the room, once again, was completely locked from the inside. 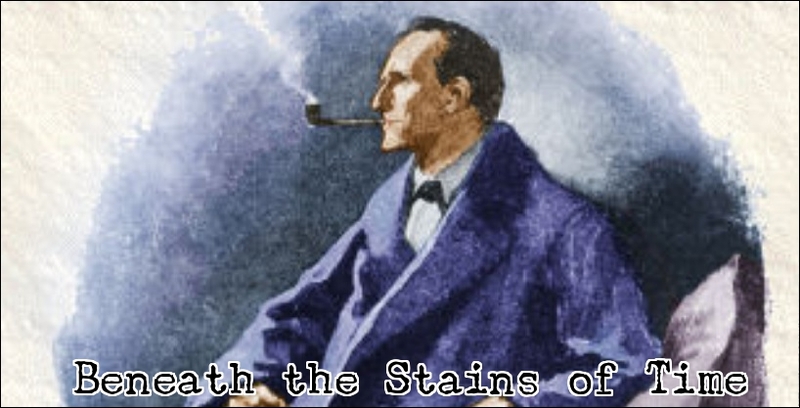 These impossibilities are the meat packing the bare-bone structure of the plot, because the murderer is fairly obvious and the only person who could have carried out these murders. And even Mitarai was unable to deduce, or even guess, the motive. So were these three impossibilities able to carry the story? Well, two of them certainly did, but let's take them one by one. The locked room-trick used in the storeroom was good, but fairly simple, of which I have seen numerous variations and was not solved by either Okuma or Mitarai, but by one of the students. So this locked room problem is only a minor piece of the puzzle, but how the murderer was able to kill the combat trained ex-soldier was clever. And the hidden dying message was a nice touch. However, the third locked room stabbing was, technically, a complete and utter cheat, but it served a purpose. What makes Murder in the Crooked House is good and memorable locked room novel are the shenanigans with the doll and the awesome solution to the second murder in the bedroom with the triple-locked door. A locked room-trick with such wonderful clues as iron staircases, pieces of string, the architectural eccentricities of the mansion and its location, but my explanation was not even close to the brilliant trick Shimada imagined here. My vague idea is that the whole place was a giant mechanical contraption that used the glass tower as a rotating cylinder, to wind and unwind, the mechanical parts of the house that opened the ceilings in the locked rooms to drop a knife from – which would explain why the bed was bolted down. Shimada imagined a much more satisfying and entirely original solution to the locked room. 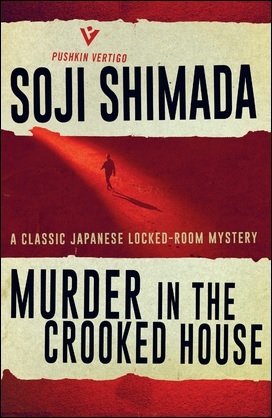 So, while Murder in the Crooked House has its imperfections and lacked the macabre grandiosity of The Tokyo Zodiac Murders, Shimada crafted a modern detective story that feels like a genuine Golden Age mystery and the originality of one of the impossible crimes lifts it to the status of a classic locked room novel. A handful of diagrams, illustrations and a challenge to the reader were the icing on the cake. This was well worth the long wait. Hopefully, we don't have to wait another decade for the next translation to come around. I need my traditional Japanese mystery fix. On a final, semi-related note: I'm convinced Shimada has greatly influenced Seimaru Amagi, who's the talented writer of the Kindaichi series, because their plotting-style are very similar and they both have an affinity for elaborate, architectural trickery to create seemingly impossible situations or cast-iron alibi – such as in The Prison Prep School Murder Case and The Rosenkrauz Mansion Murders. I have read two of Shimada's novels and one short story, but he has very distinctive style of plotting, especially his locked rooms, which seems to have rubbed off on Amagi. Maybe someone in the comments can answer that. The one comment I heard about this book from a fellow Mystery Club member that has for ever stuck with me, is that he wanted to see a film adaptation, with the camera POV inside [that thing]. It would be so cool! Most of the early Shimada works feature like this grand-scale problems (see also [shameless plugging] The Running Dead), but Shimada's more "recent" work (10+ years), or at least the ones I happened to read, seem to be far more mundane, and more built around interpretation of events etc. That would actually be awesome to use in a movie adaptation! Is the one with impossible photograph of a Russian warship in the mountains part of his earlier or later work, because that one has always intrigued me. The only possible solution I could think, based on the plot description, is that the ship was brought to the mountain in pieces and put back together there. However, your review seems to hint at a different kind solution. Anyway, it sounds like one of those grand-scale problems that I would enjoy. The Russian warship one is a relatively later work and the focus of that work is really the mystery of Anna Anderson, the woman who claimed she was Anastasia, not the warship one (which to be truthful, I doubt will really manage to impress you). 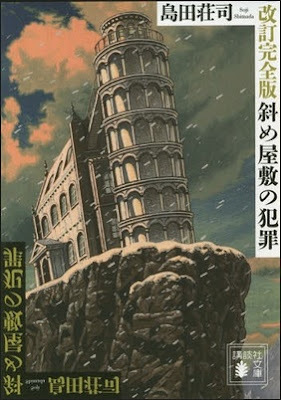 Shimada's latest novel (the Santa Claus one I reviewed in... September?) is still relatively small in scale, but a bit closer to his WHAT!? earlier work. i was SO happy the publisher decided to offer the book on kindle in europe (contrary to some ellery queen novel like the tragedy books which are on usa amazon >.>). i already left a comment in a similar vein on ho-ling's blog but i find japanese book covers so much more aesthetically pleasing compared to our western ones. in france you will find just a blank cover with the title and the author's name. in usa, publishers want their covers to be "grown up" and minimalist. but japanese? they go ALL OUT with their art. the japanese cover design for this book is nicer by a long shot compared to the american one. i am happy all my library is digital so i can add the covers i want through calibre. By the way, have you ever seen the covers of the reprints of Christie and Sayers from the 2000s? Dark, moody and minimalists covers all intended to make them look like the P.D. James or Elizabeth George of their era. They even used a larger than normal print in order to bloat the page-count, which made them look like large-print editions for the visually impaired. I have this and I am reading it, but unfortunately it look's like I'm totally unmotivated for anything involving reading at the moment. I have an idea for the first murder but I'm probably wrong. Still nice to hear it's a good one! And I too hope that the next one will not take so long. Also having seen one Mitarai TV special, I understand what Ho-ling is talking about with the "Event interpretation". Take your time and savor this one. You'll get a real treat when you reach the solution. The Mitarai movie The Clockwork Current (made by the same team of the TV special) has a problem of a bigger scale for Mitarai to solve, though that's more because it's about a few minor incidents that all connect in surprising ways. The ending is on... a weird scale. Well, this sounds delightful -- goddamn my TBR is ridiculous and I may not get to it for a couple of months yet, but I'm super excited that you're so taken with this overall. Hopefully, we don't have to wait another decade for the next translation to come around. I need my traditional Japanese mystery fix. Louise Heal Kawai, the translator of this, left a comment on my blog recently to the effect that she's currently working on a first translation of Seishi Yokomizo's Murder in the Honjin. Who knows when we'll see it, but I'm guessing in less than a decade -- very exciting! She did a great job here and look forward to her translation of Seishi Yokomizo, which also has been long overdue. Only downside is that we probably have to wait another year for it to be published. Well, I can always reread Akimitsu Takagi's The Tattoo Murder Case to bridge the gap. I forgot about that comment, but yeah, it's still only February. So here's hoping it comes out sometime this year. JJ - less than a decade? You crack me up. You can expect the Honjin Murders (title change) by the end of the year. The locked room trick from The Kubikiri Cycle is a good example of this. All it took was a headless body to pull it off. We really getting it this year! That's great news and you really did an amazing job on Murder in the Crooked House. I have been looking forward to it ever since reading The Tokyo Zodiac Murders. 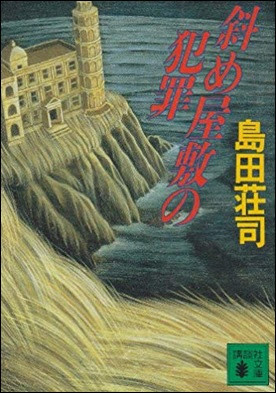 By the way, my fellow blogger, Ho-Ling, posted an incredible review, back in November, of Imamura Masahiro's Shijinsou no satsujin (The Murders in the Villa of the Dead), which needs to be translated. A classic country house mystery in a village crawling with real zombies! Commercially, it's interesting because it can be billed as both a detective and horror novel to attract a wider audience. So I just wanted to bring it under your attention in the hope it might reach the higher ups of Vertigo. Got it. Not that I have much influence, but I'll definitely take a look. Currently reading this one as well, and very much enjoying it. So much so that I didn't read the majority of your review, to remain as ignorant as possible of the progression. But I will come back to it! Anyway, my main reason for commenting here is to let your readers know that Murder in the Honjin is available in Spanish translation, for those who may have some facility in that language. It's under the title Asesinato en el honjin y otros relatos, trans. Kazumi Hasegawa, Quaterni 2017. Sorry for the late response, but hope you are, or have, enjoyed the book. Thanks for letting us know about the Spanish translation, but I'm afraid most of us will have to wait until the English translation is released.